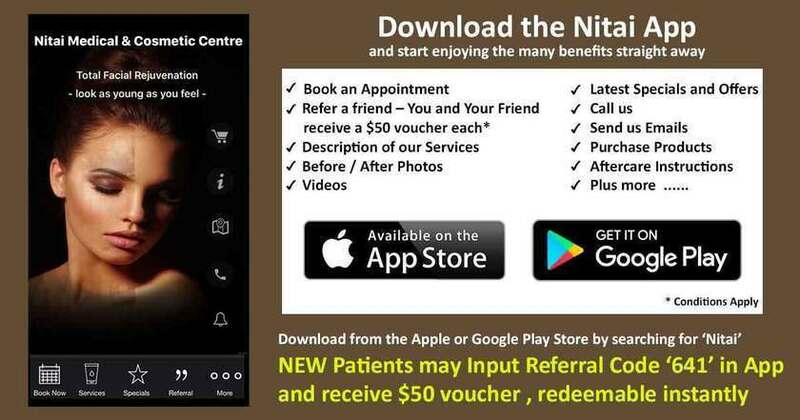 Nitai Medical & Cosmetic Centre offers cutting-edge varicose vein treatment in Melbourne. Our vision is to provide an effective and holistic treatment, for varicose vein. We strive relentlessly towards providing the safest but most advanced non-surgical techniques. We take pride in our proficient, certified, and highly experienced team that provides the most effective and reliable treatment for varicose veins in Melbourne along with other such vein-associated issues like spider veins, facial veins and deep brain thrombosis. We have Dr. Shobhna Singh who is leading the team thanks to her skill, qualification, tenacity and dedication. Varicose veins are actually ugly or unsightly veins which seem to be triggered by heavy, tired or aching legs. In some extreme cases, varicose veins are known to have ruptured and also caused ulcers. Mostly varicose veins affect your legs and thighs but in certain extraordinary cases, they could be affecting your groin. Varicose veins in most cases are a cosmetic issue but it keeps getting worse if proper treatment is not administered on time. What if Varicose Is Left Untreated? Venous Eczema: Constant itching on the skin around the varicose vein as it becomes dry. Venous Pigmentation or brown staining all around the ankles. This is chiefly because of the leakage of very small quantity of blood into the skin from the veins. Superficial thrombophlebitis: The varicose vein is tender and inflamed and usually a clot would be present. Bleeding: Even with the slightest trauma, your varicose vein could start bleeding. The vein seems to be under high pressure and so there could be profuse bleeding. The Varicose Vein treatment offered at Nitai Medical & Cosmetic Centre in Melbourne is chiefly Sclerotherapy. It is mostly utilized for efficiently treating relatively smaller accessory veins for arresting any further deterioration or undesirable progress towards the ugly and bulging varicose veins. You should know that Sclerotherapy is all about using a super-fine needle for injecting a solution into the affected area so that it would sclerose or in other words, seal off undesirable or inconsequential veins. The body would eventually break down these ugly and undesirable veins quite naturally in the same manner as eliminating the bruises. There are no issues regarding the restoration of blood circulation. Nitai Medical and Cosmetic Centre and Dr. Singh are responsible for the most reliable Sclerotherapy. Dr. Singh delivers world class treatment thanks to her extensive experience, exposure, training and expertise in the world of cosmetology. You could ultimately get rid of the varicose veins with Sclerotherapy. The outcomes of varicose vein therapy are neither tangible nor immediate. You would be experiencing a little pain or discomfort shortly after Sclerotherapy. Will There Be a Bandage Post Therapy? Yes, patients would be released with a bandage or leg wrapping. This bandage needs to stay for a couple of days, at least. You are advised to opt for a sponge bath and do not take a shower. Do not remove the leg wrapping as that should be removed when you go for a follow-up ultrasound. Follow the dictates of your doctor to the dot. Keep it wrapped in a bandage as long as advised by your doctor as that would keep the swelling and bleeding under control. It is for your own comfort and safety. Will I Need to Walk? Yes, you need to keep your legs mobile after the varicose vein treatment in Melbourne. You must walk around for shorter spans of time. It is essential to walk and stay active as that would be speeding up the healing process. Avoid rigorous activities (e.g running, squash, tennis, high impact sports or aerobics). Avoid repeated heavy lifting for the first 2 weeks after treatment. You need to consider easing the pain but avoid the narcotic painkiller even if you are tempted. Opt for over-the-counter pain-relieving drugs that are right for you including medicines like Tylenol and Motrin for comfort and pain-relief. Am I Allowed to Drive Post Varicose Vein Treatment? Driving is permitted immediately the treatment however, please discuss your specific driving plan with the doctor to ensure sufficient breaks are taken to avoid any complications. Is Sclerotherapy Treatment Meant for Everyone? No. Pregnant ladies and even those who are breastfeeding must not opt for this procedure. Please come to Nitai Medical and Cosmetic Centre to discuss with your doctor the viability of undergoing the varicose vein treatment. Also, avoid this procedure if you are having a medical history of blood clotting. What Should I Do if Bleeding Starts or if the Leg Is Hurting? A little bit of discharge at the incision site is normal. However, if the wound starts bleeding and does not stop bleeding even after exerting pressure or raising your leg above the heart level, you must call us at (03) 9300 1244. Get in touch at once with our doctor on-call.